Allow us to introduce the all new, WiFi-enabled range of single and multifunction printers from Kyocera. These innovatively-designed machines are brimming with all of the features and settings needed to really take control of your workforce. Enjoy reduced waste and costs thanks to double sided printing facilities, and navigate easily using the in-built touch-screen displays. Plus, take advantage of high quality, vibrant, stunning prints every time with the high-resolution output promise. These devices have been engineered with you in mind, so if you’re looking for a machine that offers high-performance, unbeatable quality and guaranteed durability at an affordable cost, then the search ends here. With rapid print speeds of up to 40 pages per minute, the Kyocera ECOSYS M2640idw promises to complete all of your print jobs in a jiffy. Kyocera’s optional HyPAS app has a range of innovative apps that increases the speed of scanning and faxing thanks to SmartScan, scanning from your MFP to PC with additional functionality thanks to PinPoint Scan and a host of other ground-breaking apps to increase speed, ease processes and help to cut costs. 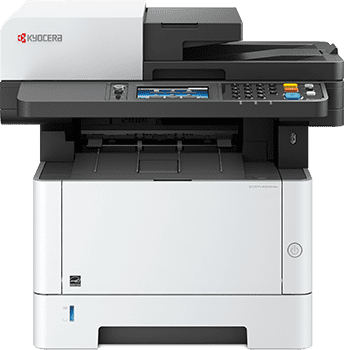 With brand new, state of the art WiFi connectivity and wireless support options, the Kyocera ECOSYS M5526cdw is brimming with intelligent features that you'll love. 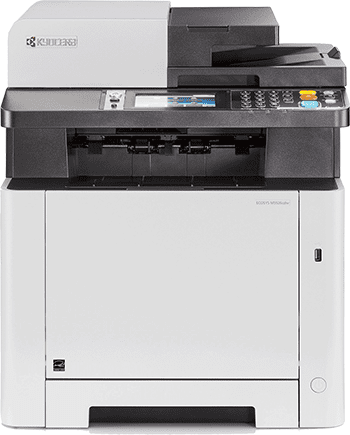 Enjoy vibrant, high resolution prints in speeds of up to 26 pages per minute. Plus, navigate easily thanks to the attractive 4.3-inch touch screen. The ECOSYS M552cdw also boasts a range of robust security features, great for those who are handling private or sensitive documents and data. A brilliant machine that ticks every single box. 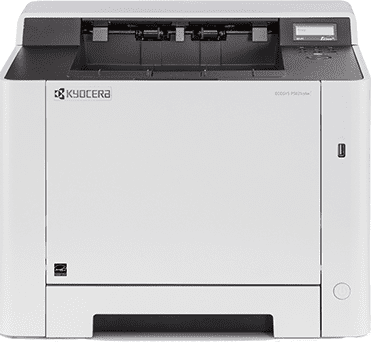 With up to 35 pages per minute print speeds and standard double-sided printing functionality, the Kyocera ECOSYS P2235dw comes complete with a range of exciting features and settings guaranteed to optimise productivity and efficiency in your workforce. 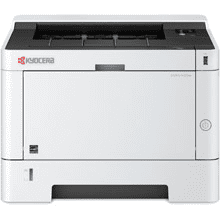 Boasting a compact design and a robust operating system, this fantastic A4 mono laser printer also features an attractive quiet mode option - great for eradicating disruption in the workplace. If you're looking for a durable and hard-wearing printer with exceptionally low printing costs, then you could be looking right at it. With Kyocera's exciting, new WiFi connectivity built-in, the ECOSYS P5021cdw is loaded with contemporary features that'll really bring your office to life. This compactly-designed machine offers low cost printing, standard duplex system for double-sided printing, mobile printing support and much, much more. So, if you're looking for an affordable, high-quality printer that covers every corner, you're in luck. This machine is a must-have.